An ambitious biographical epic, They Died With Their Boots On is a stellar example of grand storytelling, Hollywood style. The chequered history of George Custer makes for an action-packed and yet human story, recounted with impressive vigour and traces of humour. 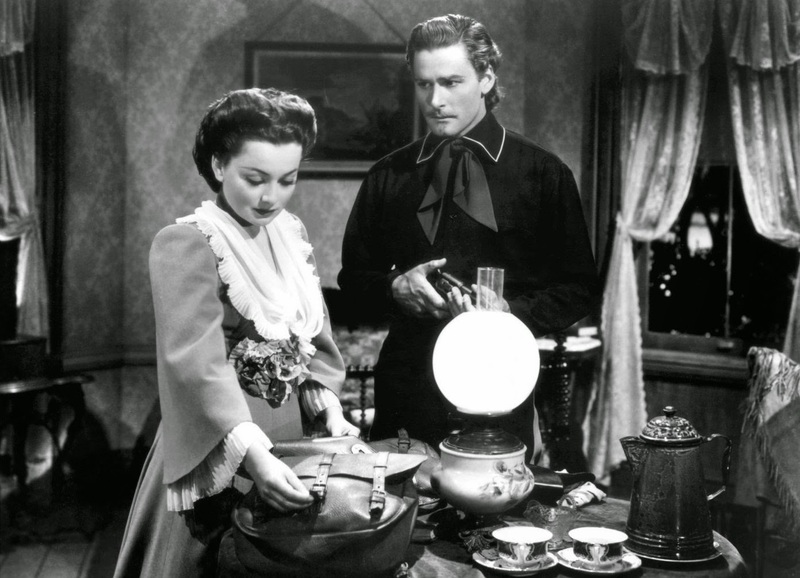 Before the Civil War, George Custer (Errol Flynn) enlists at West Point Military Academy with ambitions to join the cavalry. He proves to be an undisciplined free spirit, unable to follow rules, his record tarnished with frequent transgressions. 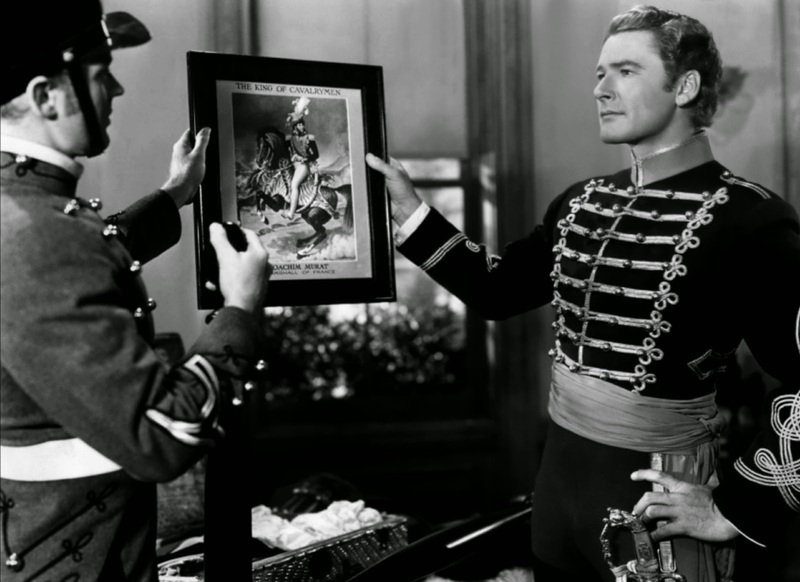 He clashes with fellow cadet Ned Sharp (Arthur Kennedy), and meets and falls in love with Elizabeth Bacon (Olivia de Havilland), the daughter of businessman Samuel Bacon (Gene Lockhart). When the Civil War does erupt Custer is rushed into service in the Union Army despite his unpromising performance. 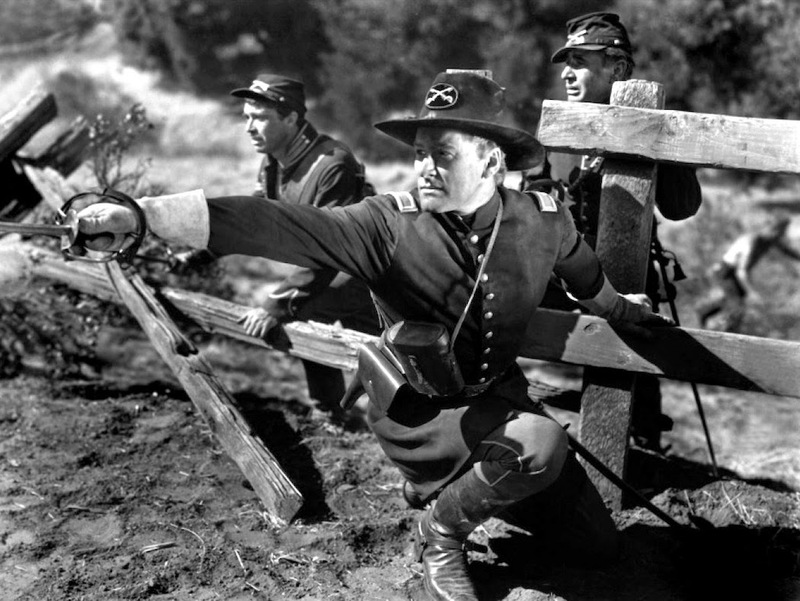 Lieutenant General Winfield Scott (Sydney Greenstreet) takes a shine to the young man and assigns him to the Cavalry. Custer proves to be an unconventional and fearless military commander, incurring losses but achieving significant victories. In the chaos of war, he is quickly promoted to the rank of Brigadier General. He marries Elizabeth, continues to lead his troops from the front, and contributes to the pivotal Battle of Gettysburg. In a post-war funk Custer crosses path with Sharp, now part of an unscrupulous railroad expansion business cartel. Custer refuses to go into business, rejoins the military and is assigned to command Fort Lincoln deep in the Dakota Territory. With Indians under the leadership of Crazy Horse (Anthony Quinn) still ruling the territories and threatening trade routes, Custer gets help from grizzled old-timer California Joe (Charley Grapewin) and sets about to whip the fort regiment into shape and forge peace. But events and corporate interests will conspire against him, culminating in the Battle of Little Big Horn. An enthusiastic version of the Custer story, They Died With Their Boots On is a galloping 140 minutes packed with adventure, war, politics and ultimately tragedy. Director Raoul Walsh expertly paces the film to alternate swashbuckling moments of Flynn doing what Flynn does best with more measured character-building scenes, delving into quieter moments where politicians, generals and businessmen helped to shape the key events in his life. The one missing aspect is Custer's childhood and upbringing, but the film is none the poorer for the omission. He arrives at West Point as an oddball adult, and remains a true contrarian throughout his colourful career. In the context of Hollywood's early 1940s era, They Died With Their Boots On is remarkably accurate. Custer's abject mediocrity at West Point, his unexpected over-achievement in the Civil War, his bold battlefield tactics, his post-war involvement in the intersection of politics with commerce, and the romance with Elizabeth Bacon are all represented, and bring to life a rounded hero rightfully celebrated in his time. His last stand and demise at Little Big Horn are romanticized in Custer's favour as a great sacrifice, but the film is commendable for capturing a compelling Custer with all his faults, and all his strengths. The film boasts a progressive portrayal of the Indian tribes, who are presented as defending their land, willing to accept peace, and then victims of a betrayal driven by unscrupulous business interests. The screenplay (by Æneas MacKenzie, Wally Kline and Lenore J. Coffee) also excels at injecting the typically ignored backroom machinations of business and politics, providing the movie with an added dimension of intrigue outside the more traditional battlefield exploits. And throughout Custer's adventures, moments of humour and human traits and foibles are teased out, turning the legend into a man. They Died With Their Boots On was the eighth and final teaming of Flynn and de Havilland. They are easily comfortable with each other, their romance and marriage an inspiration and then foundation for Custer's exploits. Their last scene together is prolonged and poignant: Custer's farewell to Elizabeth as he prepares for the fateful battle with Crazy Horse is carefully constructed by Walsh to heighten the impending tragedy. Flynn and de Havilland give the scene a deep maturity as the couple dance around what needs to be fully understood but absolutely unsaid. Flynn again demonstrates admirable range and no shortage of charisma in the acting scenes, while Arthur Kennedy as Ned Sharp is a worthy and tenacious adversary. Custer's legacy was much more than just his final stand, and They Died With Their Boots On flamboyantly celebrates an adventure-seeking maverick who lived life to the fullest.